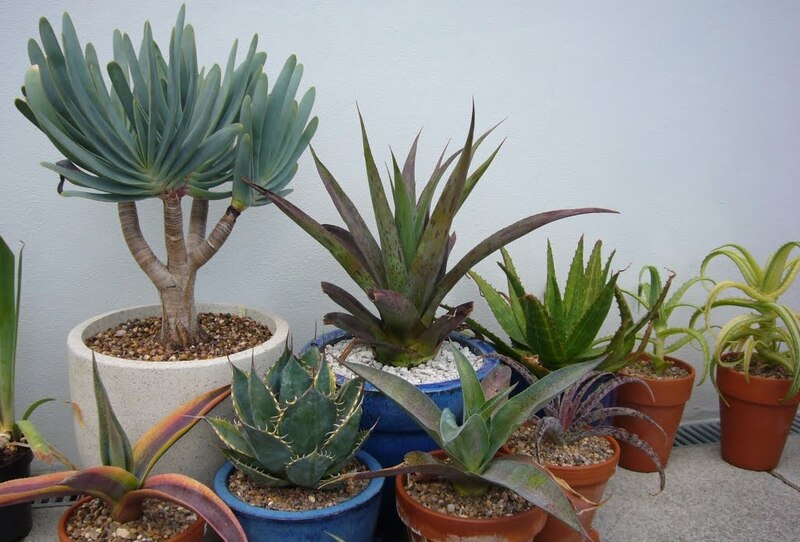 Everyone has at last one plant that in the garden that always gets attention. You know the one that every visitor comments and lusts after. I keep meaning to suggest everyone do a post on their attention hogging plants. Maybe I'll get around to it this year. One of the plants that always gets comments is aloe purple flush. The colour is amazing, apart from the purple, the leaves have a red edge which glows in the sun. Friends routinely ask if I have any spares, sadly it didn't seem to be a big off-setter. To add to the problems I have never seen this plant anywhere else or been able to find anything about it. I am guessing the name is wrong. Last year I took the plunge and split the one offset, you can see the post here. At the same time I added some blood, fish and bone to the potting mix. The growth rate wasn't much different but they went offset mad. 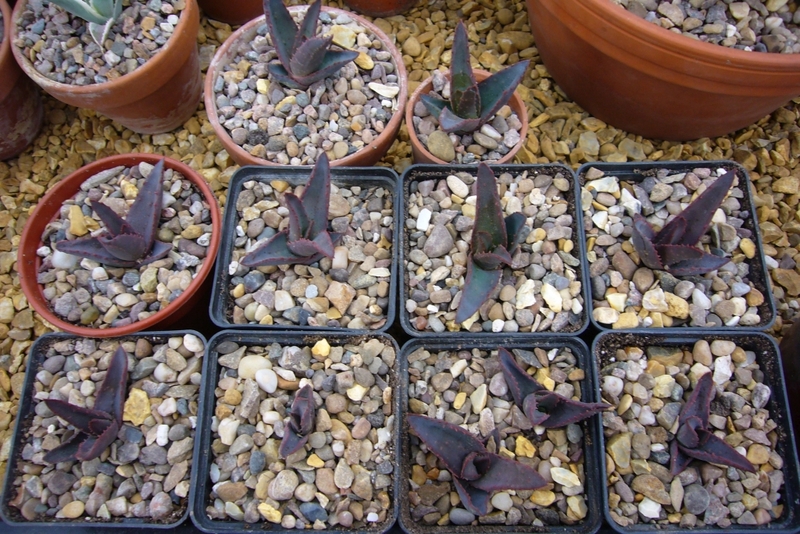 So today as part of the yearly potting up, the purple flush was next. The mother still looks great. But what to do with this lot? I have been getting stricter on pups and binning them instead of keeping everything. I noticed that they were either put to the side to plant later and ignored, or potted up and left somewhere to struggle on. I really don't need multiples of every plant. However I could just hear the cries from friends so here there are all potted up. I don't think it is going to last the summer in there. This will be the first of many plants that get split over the next couple of weeks, many of them seem to be on peoples wish list. Something tells me I am going to be very popular this summer. Sharing with friends is good! When they have plants to share, they think of you. Beautiful foliage color--never heard of 'Purple Flush'--is it a hybrid? A little rubroviolacea in the mix, maybe? 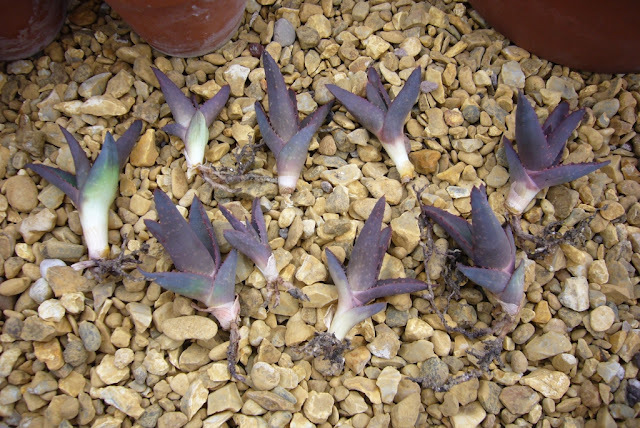 It is funny you should say that, No one has heard of the plant, but someone has suggested some sort of rubroviolacea as an option. the colour and leaf edge look correct, this ones leaves a little thinner. 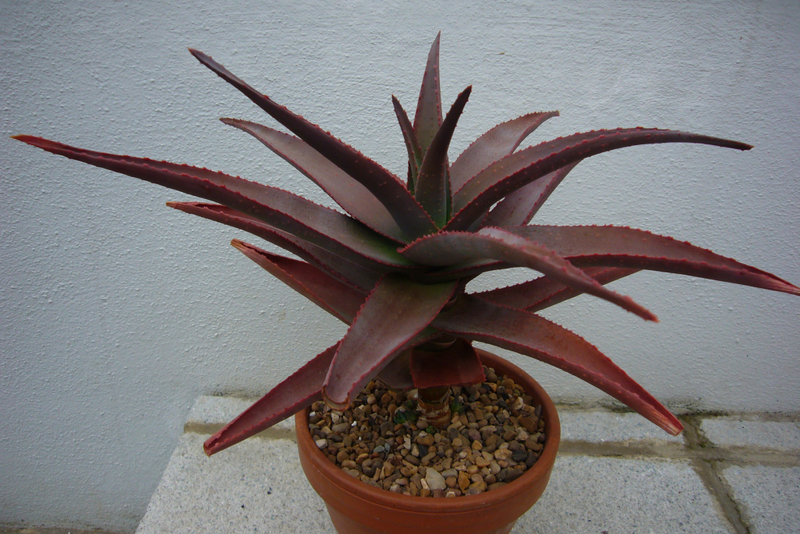 amazing plant,especially that it has that reddish tinge in the sun. And in the shade. One has your name on for next meet up. This is the most purple aloe I've ever seen. As Hoover Boo said, it's not known here in the U.S. Will keep my eyes open though! 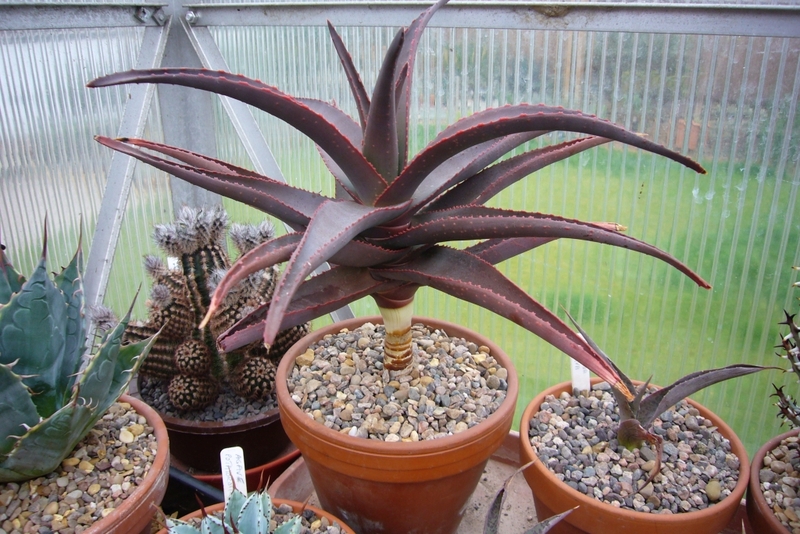 It is now thought to be a hybrid of aloe rubroviolacea so keep an eye out for that, may be a good start. 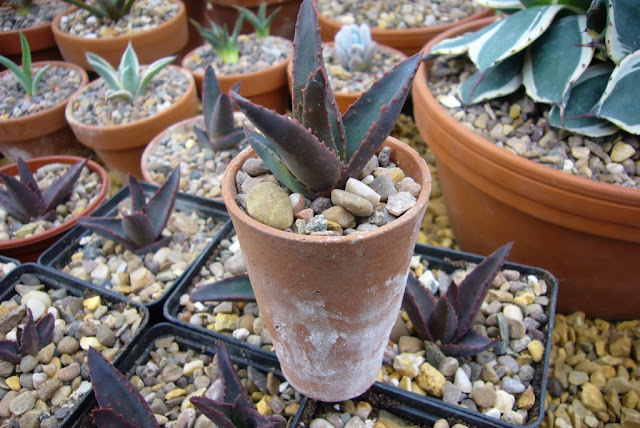 Did you find homes for all of your purple flush aloe pups? Does the purple seem to come when it's colder, or is it that purple all the time? Lovely plant, one of the prettiest I've ever seen!